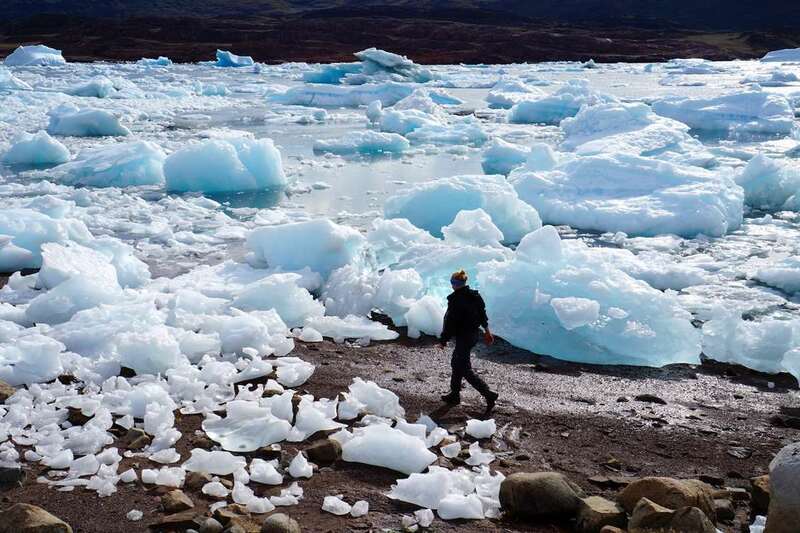 Blue Ice Explorer is a collaborative venture between tour guru Jacky Simoud in Narsarsuaq and Topas, Denmark. 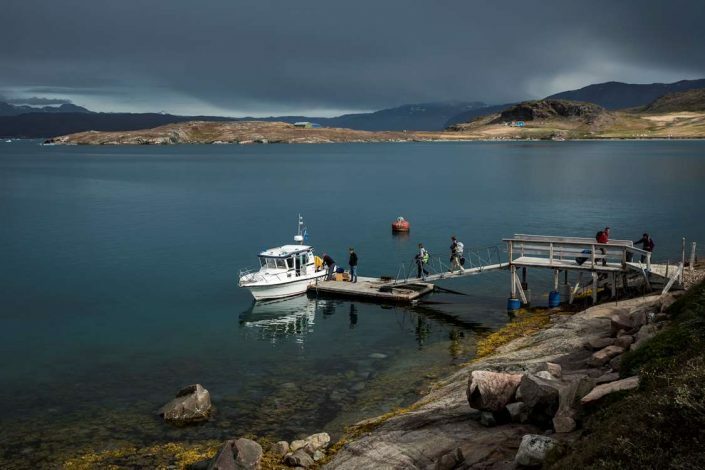 The company has four passenger boats for tours and transfers, has more than 30 years’ experience and knows Igaliku and the whole of southern Greenland like the back of its hand. Blue Ice Explorer is a specialist in hikes to suit all tastes. The trips include overnight accommodation and transport to and from your destination. In addition, we rent out a full range of equipment for hiking and sell fuel for storm-proof cooking equipment and freeze-dried provisions. 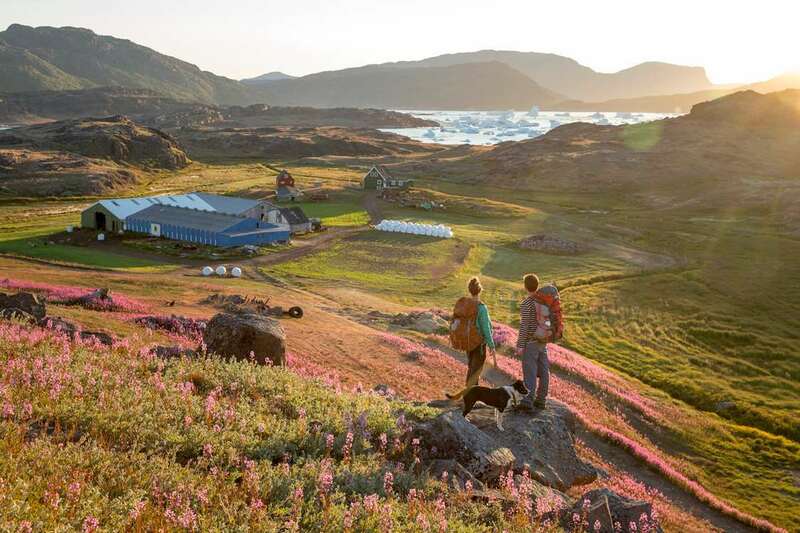 Regardless of whether you were born with a pair of hiking boots on your feet or you just wish to spend a couple of hours in the South Greenlandic countryside, Blue Ice Explorer has something to suit you. With 30 years’ experience, the company knows the area, different types of overnight accommodation and the most fantastic routes over mountains and through valleys. Fortunately the area isn’t plagued by mosquitoes in the fells where the sheep graze during the summer! 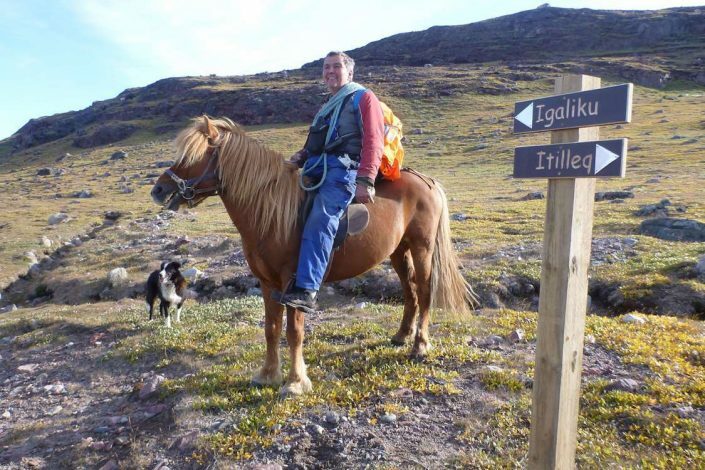 On the company’s website you can find a wealth of possibilities and descriptions of hiking routes in South Greenland. Explore the area around the small sheep farming village of Qassiarsuk. Erik the Red settled here, and he and his wife Thodhildur spent many years in this spot. Walk from sheep farm to sheep farm. Study the Norse remains – ruins or reconstructions. Both the longhouse and the little turf church are worth a close look. 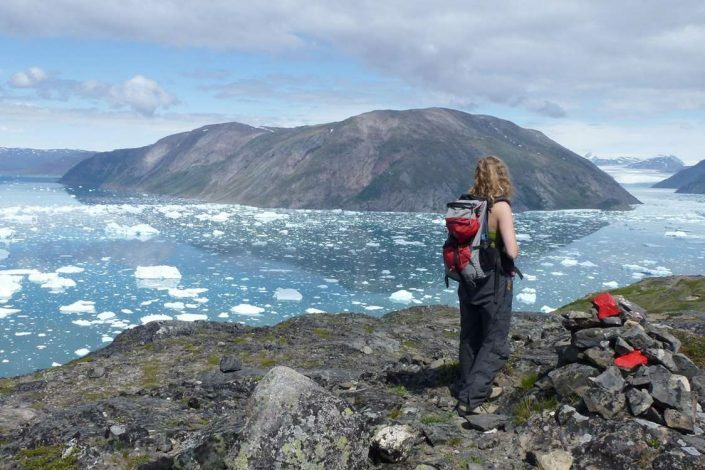 This is one of the most beautiful areas in southern Greenland and is ideal for hiking tours. 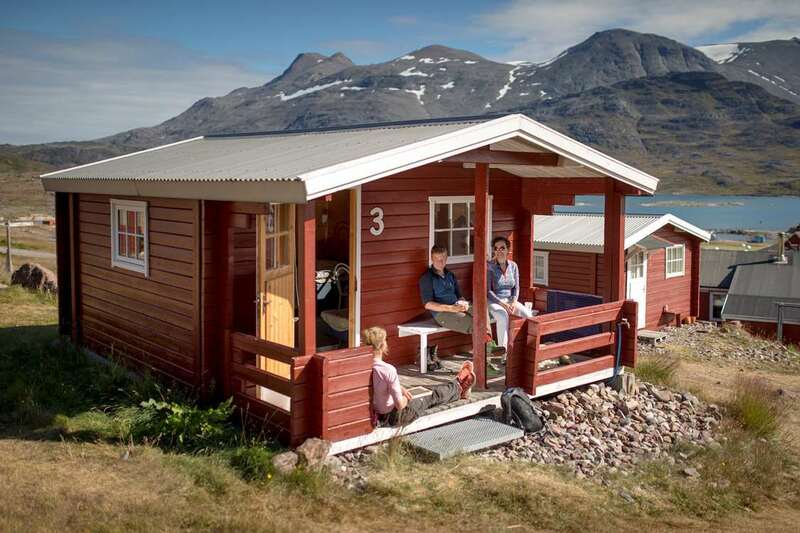 Bring along a tent – There are great places to camp especially along the Sermilik fjord. Igaliku is one of the most beautiful places in Greenland. It is also steeped in history – as is evident from the many Norse ruins and the Norse bishopric at Gardar. The little sheep farming village is located at the end of the Igaliku Fjord 35 kilometres east of Narsaq. The hiking terrain it offers is varied and stunningly beautiful. The landscape is green and lush, barren and bleak, with stony wilderness and rugged mountain terrain. 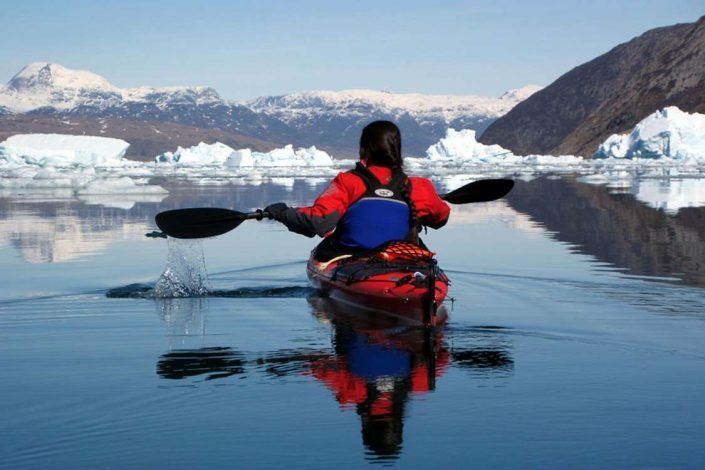 The kayak was invented in Greenland. Exploring South Greenland’s latitudes in a sea kayak is an adventure in itself. Blue Ice Explorer rents out sea kayaks to experienced paddlers. The freedom of being able to paddle wherever you want and the fantastic settings with icebergs, steep fells and green plains are the primary ingredients of kayaking trips with Blue Ice Explorer. 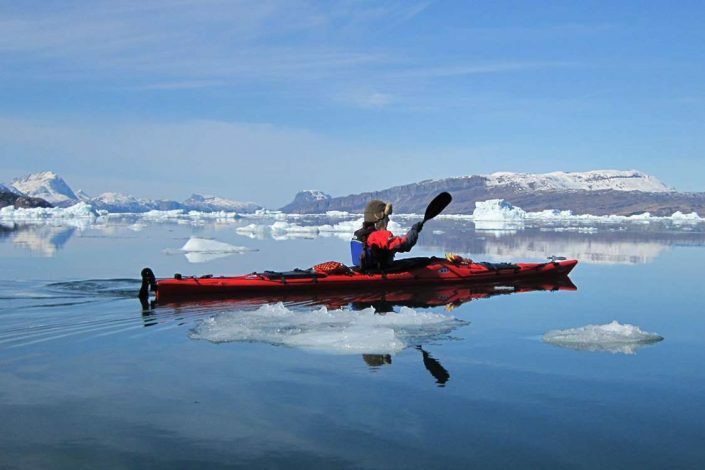 And of course Greenland is the perfect place to go kayaking; after all, it’s where the kayak was ‘invented’ and where it’s played a crucial role in the survival of the Greenlanders down through the centuries. Make camp for the night or just go on a daytrip. Pay close attention to the weather conditions, which range from completely calm seas to strong Föhn winds. The temperature of the water in the fjords doesn’t get above more than 3-4 degrees Celsius even during the summer, so it’s important that you’re a competent kayaker before you climb into one of the small vessels. Kayaks are only rented out to paddlers with experience from home. In the year 982 the Norse settlers, led by Erik the Red, set foot in South Greenland. They disappeared just as suddenly in the middle of the 15th century. 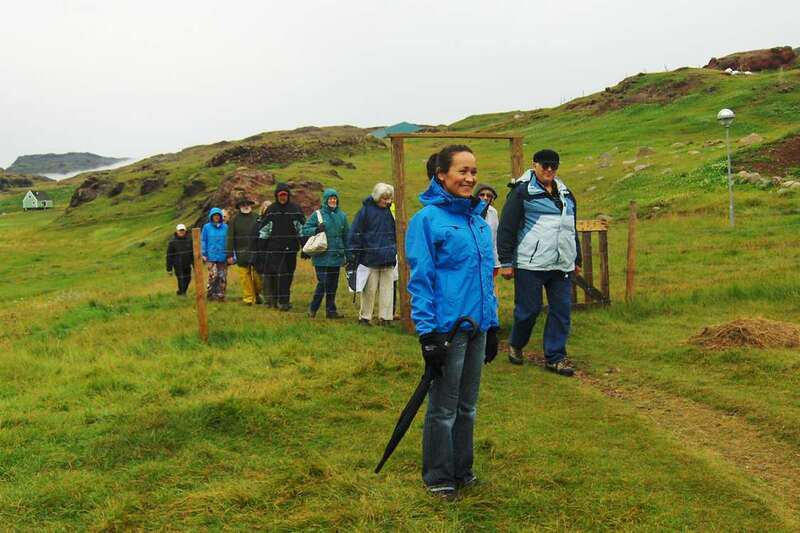 Visit Brattahlid (Erik the Red’s farm) or Gardar (the Norse settlers’ Episcopal residence) with Blue Ice Explorer. Igaliku was the bishopric of the Norsemen, and the ruins hark back to the settlement’s heyday 1,000 years ago. 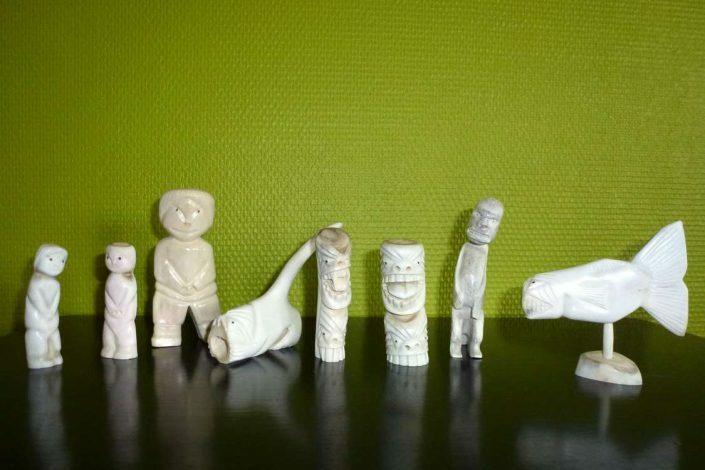 Remnants from the Vikings – or Norse settlers – are found throughout the South Greenlandic landscape. Ruins of farms, stables, pantries, etc., are characteristic of the region. 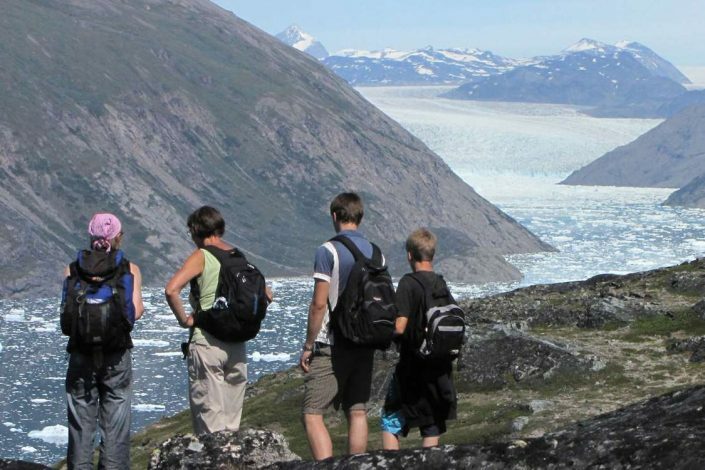 With Blue Ice Explorer you can go on a fantastic trip which takes in the settlement at Qassiarsuk, which is around 15 minutes’ sailing time across the fjord from Narsarsuaq. Here the history of the Norse settlers and modern sheep-breeding often intertwine. Less than 100 years ago modern sheep-breeders settled on exactly the same land on which Erik the Red and his people had settled 1,000 years before. Follow the trail of the Norsemen and join Blue Ice Explorer on a trip to the little sheep farming village of Qassiarsuk. This was where Erik the Red settled when he came to Greenland in 982. The place has some impressive reconstructions from the Norse period including Erik the Red’s longhouse and his wife Thodhildur’s church. The settlement was then known as Brattahlid and was in Østerbygden. The whole area has many Norse ruins which are worthy of preservation. The settlement is a 15-minute boat trip from the airport town of Narsarsuaq. It was no wonder the Norsemen decided to build their bishopric and spiritual centre at Gardar situated in what is now Igaliku. The remains of the bishopric and the little cathedral are now surrounded by houses and vegetable gardens. For many years, the bishop’s palace was a focal point for the Norsemen and visitors from Iceland and Norway. The cathedral was the largest of all medieval churches in Greenland and some of the rooms in the bishop’s palace could accommodate several hundred people. Blue Ice Explorer organises trips to Igaliku. You have a choice of one-day trips or trips that last for several days. Blue Ice Explorer has good contacts with sheep farms, etc., and can organize stays and visits to these farms. 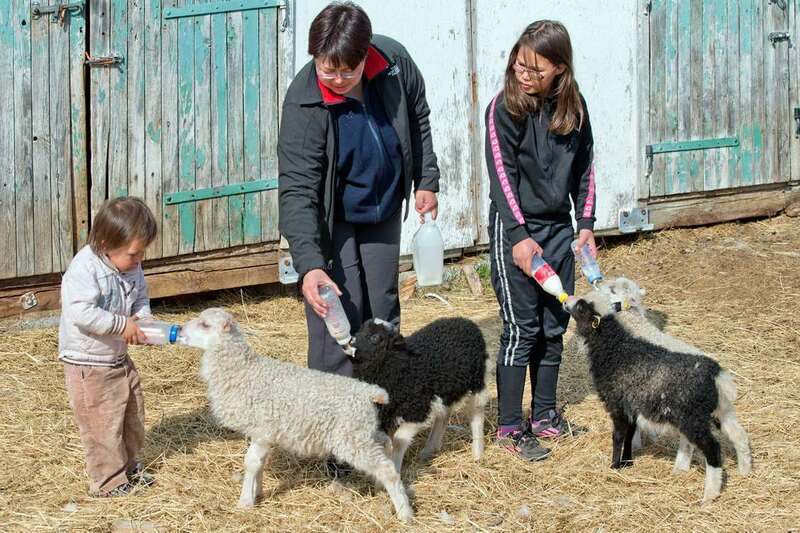 Stay overnight at a sheep farm and get an insight into the everyday life of a modern Greenlandic family. Kaffemik is a traditional Greenlandic social custom. Visit sheep farming families who open their homes to guests and invite them in for tea, coffee and cakes. Blue Ice Explorer has specialised in tailor-made package tours for individuals and for groups. Regardless of which trips you choose, you also get an insight into how life is – and was – lived in towns and settlements. Contact Blue Ice Explorer if you have particular wishes and would like to experience a sheep-breeding farm or another traditional Greenlandic home and hear more about everyday life and the challenges it brings. Blue Ice Explorer organises kaffemiks with sheep farming families in Qassiarsuk. Kaffemiks are traditional social occasions where Greenlanders open their homes to guests and invite them in for tea, coffee and cakes. Meet sheep farmers who live today on exactly the same land which Erik the Red and his people settled over 1,000 years ago. Learn about life in this little southern Greenland community and find out how sheep farming is done today. Blue Ice Café is not just a café. Here you can buy maps, books, postcards and souvenirs and find most local tourist information. Blue Ice Café isn’t just a café. It’s first and foremost here that your personal package tour is put together and here the majority of local tourist information is available. In the café’s souvenir section you can buy postcards, hiking maps and various handicrafts and other souvenirs as mementos of your trip. There’s also good Internet access and a small library where you can read and borrow books about the local area and the history of Greenland. At Blue Ice Explorer’s tourist office in Narsaq you can buy hiking maps, postcards, books and various handicrafts and other souvenirs as mementos of your trip. 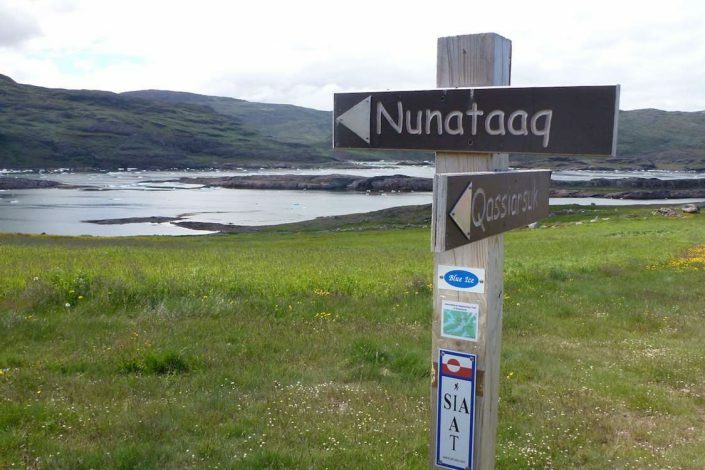 There’s also good Internet access and you can hire a mountain bike to explore the area around Narsaq. 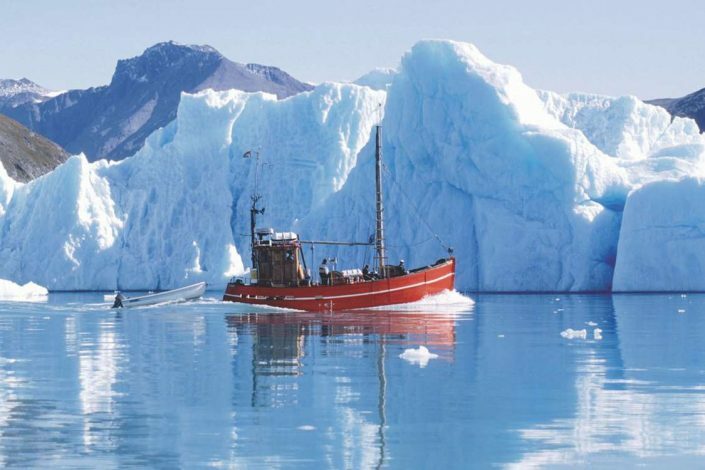 Blue Ice Explorer has four boats and lots of trips in South Greenland. They’re always happy to put together your trip depending on your wishes and preferences. If you are holidaying in southern Greenland, make sure you go on a boat trip to Igaliku. Blue Ice Explorer also has regular services between Narsarsuaq, Narsaq and Qaqortoq linking in with direct flights to and from Copenhagen and Reykjavik in the summer. 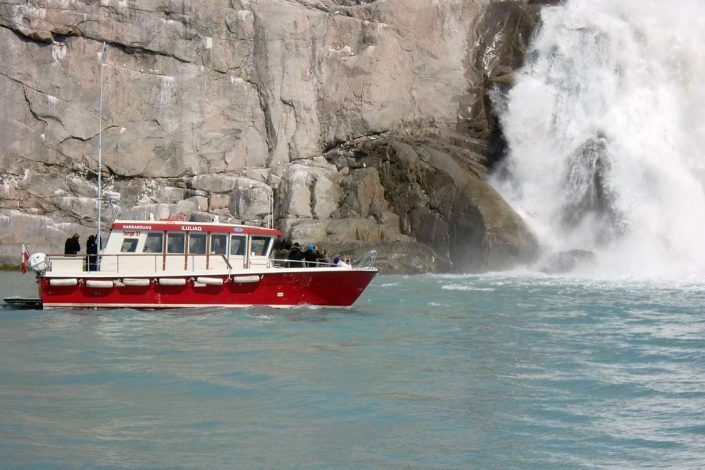 Many of Blue Ice Explorer’s excursions and package tours include adventures on the water. Shorter tours start from towns or settlements or last several days with a wealth of attractions. The company presents a wide range of options on its website. Sail from the airport town of Narsarsuaq to discover the blue icebergs and Norse history of southern Greenland. Blue Ice Explorer also has also scheduled services between Narsarsuaq, Narsaq and Qaqortoq in connection with direct flights to and from Copenhagen and Reykjavik during the summer. Routes and departures can be found on their website, where you can also book tickets. Blue Ice Explorer has experienced guides who speak several languages and can guide in Greenlandic, Danish (Scandinavian), English, German, French and Spanish. Blue Ice Explorer has specialised in tailor-made package tours for individuals and for groups. On a package tour with Blue Ice Explorer there’ll always be a detailed information meeting on your arrival held by guides who have extensive experience and knowledge of the area. Blue Ice Explorer offers several daytrips from Narsarsuaq with guides in several different languages (Greenlandic, Danish/Scandinavian, English, German, French and Spanish). An old legend says that the northern lights appear when the dead souls in heaven play football with a walrus skull. 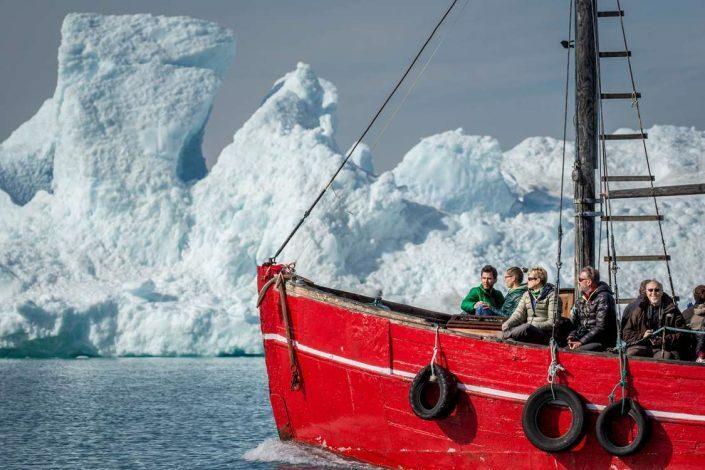 You can experience the phenomenon in South Greenland from the middle of August. The northern lights are visible in the night sky from the end of August as the nights get darker. 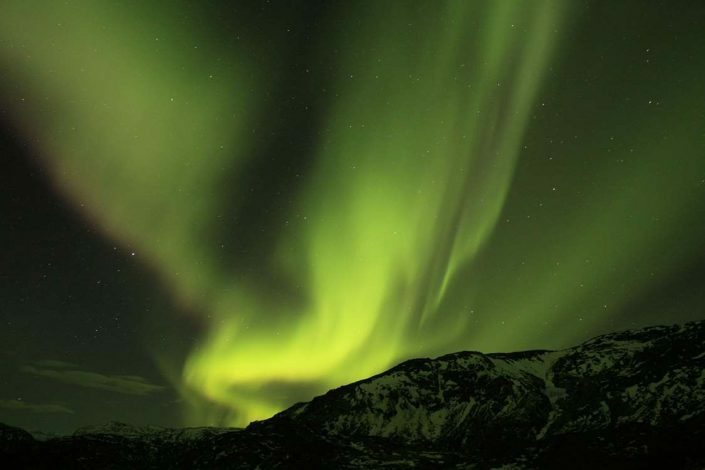 An old legend says that the northern lights appear when the dead souls in heaven play football with a walrus skull. You can of course experience the phenomenon at any point in the sky. Try a five-day package tour. Blue Ice Explorer plans tours in consultation with you. Icebergs are like unique works of art in nature. Get close to these wonders of nature with Blue Ice Explorer. No two icebergs are the same. 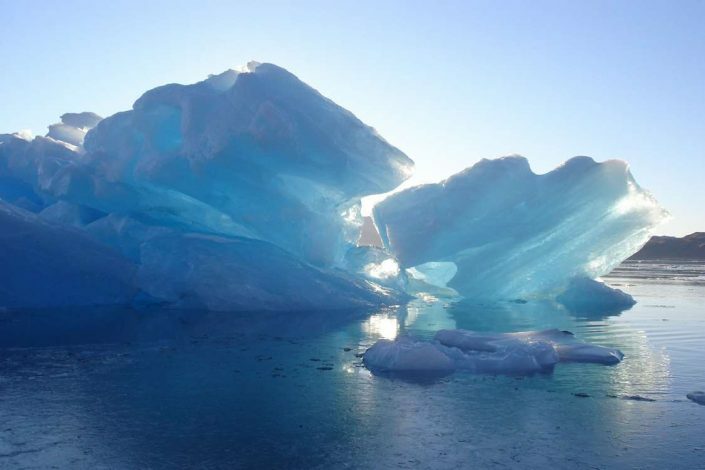 They’re nature’s works of art, and it provides food for thought that the icebergs were originally created in a gradual process from snowflake to ice long before the birth of Christ. Blue Ice Explorer has lots of trips that take you close to the beautiful sculptures. They can be seen from land or onboard a boat, for example on a boat trip to Qooroq ice fjord. The ice sheet has covered large parts of Greenland during the last 2-3 million years. 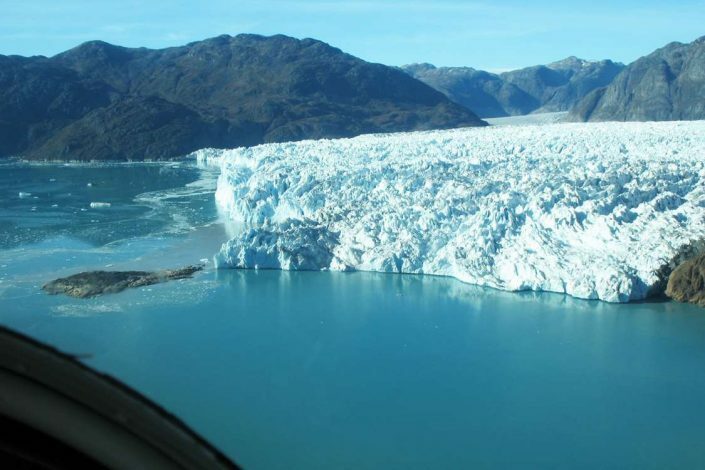 Active glaciers and constant melting ensure that new ice continues to appear. You can hike, sail or fly by helicopter to the Ice Sheet with Blue Ice Explorer from Narsarsuaq. In South Greenland you can hike to the Ice Sheet without any problem. Blue Ice Explorer has hiking trips to the ice and a boat trip which has particular focus on the Ice Sheet as the only destination. Choose the trip that suits you best or consult the company. On our website you can find many examples of exciting trips with the ice as the main attraction. The huge cap of ice has covered large parts of Greenland during the last 2-3 million years. The aging ice cap is a few metres thick at its edge, but more than 3,200 metres high at its highest point, as well as containing 10 percent of the world’s freshwater resources. Blue Ice Explorer has sightseeing flights and longer trips with stops on the ground. Experience South Greenland’s delights from the air by means of a small helicopter that is ideal for reconnaissance of the ice (Eurocopter C120 4 seats). Glaciers, fjord systems and magnificent valleys can be more or less impossible to get to. When seen from on high the landscape opens up and is certainly no less impressive. Blue Ice Explorer offers helicopter trips on the small Eurocopter C 120 helicopter, which could have been designed specifically to study the landscape from on high. You can choose between flights only or trips with landings that enable you to take a closer look at the area. This will allow you to get close to glacial crevices and blue ice and experience the huge dimensions from a different perspective. Go on a daytrip to fishing spots or longer package tours with overnight stays at hotels or hostels with Blue Ice Explorer. The area near Narsarsuaq is a paradise for anglers who love fishing for char in rivers.. The countless rivers around Erik’s fjord are perfect. 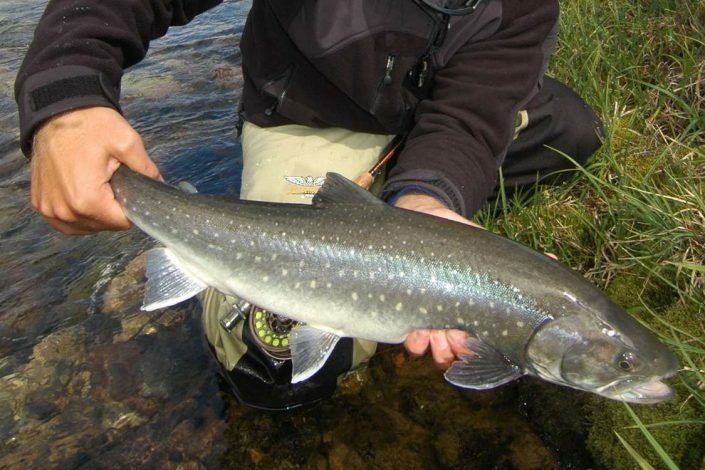 Some of the rivers are crystal clear and ideal for fly-fishing, whilst others come directly from the glaciers and are therefore more turbid, in which case it’s best to fish with a spinner. One thing’s for sure – the rivers are teeming with fish! Blue Ice Explorer has trips lasting several days with overnight stays at hotels or hostels. You can also put together your own trip. Our personnel will help you with advice, provide information about fishing licences and good spots from where to fish. 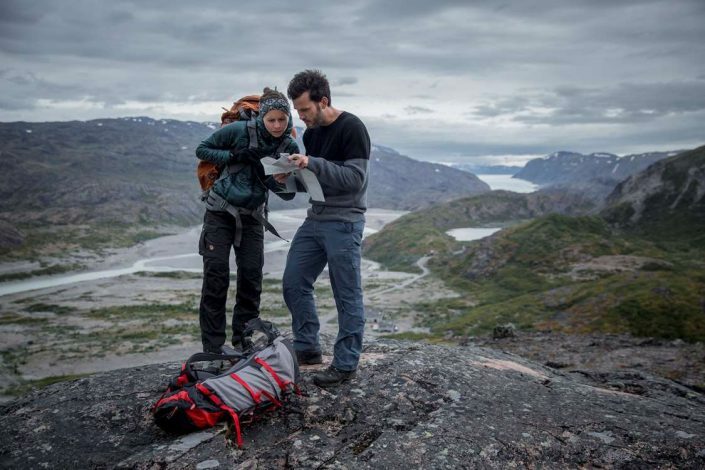 Blue Ice Explorer collaborates with Lax-á travel agency, which has established a first-class wilderness camp close to the Ice Sheet west of Narsaq. The dream of a unique hunt for one of Greenland’s iconic land mammals such as the reindeer or musk ox is no more than a 4½-hour flight from Europe (Denmark) – and the wildlife in South Greenland is ideal for hunting trips. Blue Ice Explorer collaborates with Lax-á travel agency, which has established a first-class wilderness camp close to the Ice Sheet west of Narsaq. From here guides will accompany you on a hunt for reindeer or musk oxen. Blue Ice owns the hostel in Narsarsuaq. Additionally we own the charming Igaliku Country Hotel as well as the hostel “Gardar Hostel” in Igaliku. Gardar Hostel is a cosy hostel located near the shop and harbour. Bring your own sleeping bag, cook your own meal and spend the night here. You can also order meals at the Igaliku Café. There are 15 beds, split between a number of double rooms and a family room. There are separate toilets and bathrooms. The hostel has a large general-purpose kitchen with an adjoining and cosy dining room and sitting area. 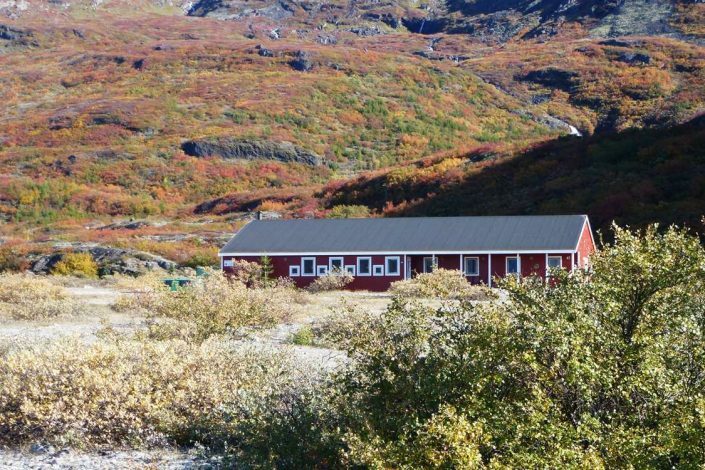 Igaliku Country Hotel offers cosy and comfortable accommodation and delicious Greenlandic meals served in the café. The hotel has 8 double rooms. There are separate bathroom and toilet facilities in the corridor, as well as a lounge overlooking the settlement of Igaliku. There are also 6 cabins, each with 2 beds (an extra bed can be provided). The cabins also have separate bathroom and toilet facilities in the service cabin. Igaliko is a story in itself and provides a fantastic backdrop for the settlement’s little café. The settlement of Igaliko is situated at the end of the beautiful Igaliko fjord. The café treats guests to cooked meals, coffee, tea and other refreshments in a setting that has played a key role in the country’s history. 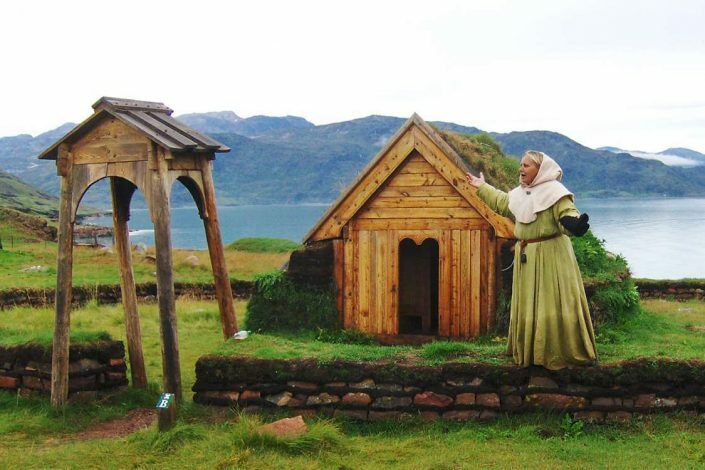 The Norsemen’s Episcopal residence comprising a cathedral and a large farm was based here during the settlement of Greenland by the Norsemen 1000 years ago. is a modern hostel with a large kitchen and living room. It can sleep 36 people in nine 4-room dormitories. There are 2 separate bathrooms, a terrace and barbecue area. You also have the option of pitching a tent outside in which case you can pay for use of the kitchen, bathroom and washing machine. 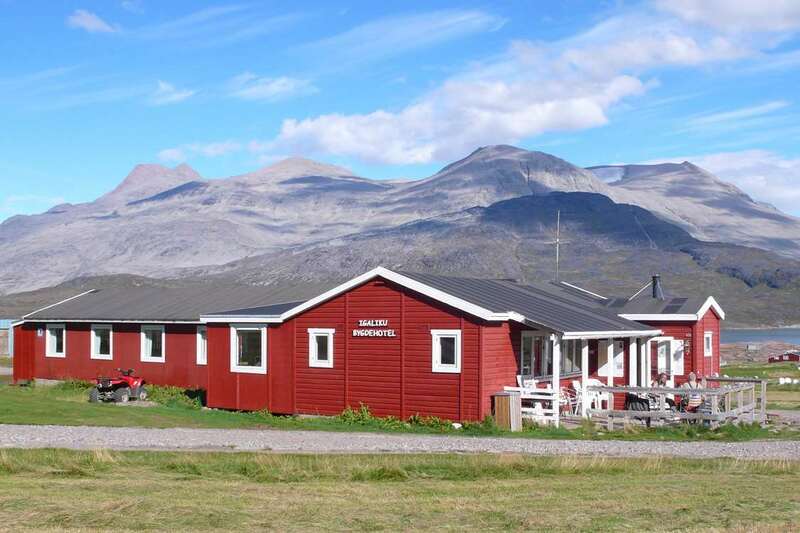 The youth hostel is located on a plateau overlooking the fjord 600 metres from the airport. It is not far from Blomsterdalen and Hospitalsdalen, where your luggage will be taken upon arrival and departure.